Twin Star Film is an independent film production company founded by the internationally renowned film director and producer, Steve Lichtag, who has been working in the Czech Republic since 2001. The company specialises in its own film projects as well as in providing services and producing feature and documentary films. Twin Star Film is currently completing post production on ALDABRA – a feature film shot using 3D technology. During the Cannes Film Festival the film attracted the attention of Disney, as a result of which several key personalities from this studio have been co-operating on the completion of the film. The film will be released internationally for cinemas in 2015. For ALDABRA and SHARK ODYSSEY Twin Star Film – in conjunction with technological studios in the Czech Republic as well as with partners in Germany, Great Britain, Japan and the USA – developed a unique 3D technology for filming under water and in other extreme conditions. Twin Star Film is a world leader in underwater film technology. It owns its own unique system, based on a platform incorporating RED film cameras, including an entire RED post-production chain. The company has its own grip gear, camera dollies and other modern film equipment. Last but not least: Twin Star Film has its own complete post-production chain. 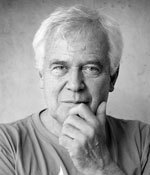 Film producer and director Steve Lichtag was born in Czechoslovakia, but lived and worked in the USA from 1980 to 1990. His films focus primarily on wildlife and the marine world. Lichtag’s films have won more than 60 international awards in 18 countries. Born in China and brought up in Europe, Tiefeng Shan participates in business projects in both China and Europe. Comfortably at home in a multinational and multicultural environment he has over the past few years discovered a deep interest in cultural activities. After teaming up with Steve Lichtag “Feng” has focussed on the film industry. Together they form a constructive and inspiring partnership that concentrates on Chinese-European cinema. Reinhard Groene runs the German office Twin Star Film Duesseldorf. Since more then 25 years he is film producer with more then 100 films for televison, advertising and promotion. He is working for all kind of international companies. He also directed international product shows and launches, all over Europe, in the US, from Beijing to Tokio. He is handling international sales & marketing-strategy of Twin Star Film. Michael Havas was born in Prague, Czechoslovakia, but grew up in New Zealand. He has written, directed and produced over 50 films, many of which won international awards. Havas has worked with television networks such as the BBC, Channel 4, The Discovery Channel, ZDF, ARD, ARTE, MTV and ORF. Since 2003 Radim Kotěšovec has edited films such as The Last Hunters, Dance of the Blue Angels, A Myth called Shark, Prisoners of a White God, Bizarre World, Sandstone, Aldabra – once upon one island and many others. Since the inception of the International Film Festival Water, Sea and the Oceans, Kotěšovec has been head of acquisitions for this event. Since 2013 he has been teaching editing and postproduction at the Department of Social Anthropology, Faculty of Arts, University of Pardubice. Ondřej Hošek studied field camera at the Miroslav Ondříček Film Academy. His Bachelor´s thesis was devoted to „ extreme documentary film“ and was supervised by director Steve Lichtag. 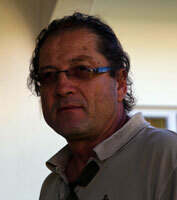 Subsequently Hošek was commissioned by Twin Star Film as cinematographer of ALDABRA – Once upon an island. Jindřich Soukal is a long-time diving instructor (over 700 issued certifications) and professional diver specialising in logistic work for underwater filming. He has participated in and led many diving expeditions (South Africa, Mozambique, Galapagos, the Philippines, Indonesia and others.). 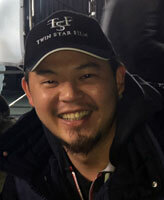 Since 2005 he is a member of Twin Star Film, where holds the position of 3D underwater cameraman. Vojtěch Nedvěd, a graduate of the Miroslav Ondříček Film Academy, majored in editing and cinematography. His Bachelor’s thesis was devoted to stereoscopy which has become his professional speciality. Since 2009 he has been a member of Twin Star Film as DOP and acted as stereographer for ALDABRA – Once upon an island.